Let’s start with a long list of bike events on a very busy weekend. Beginning with a vintage bike ride in the San Fernando Valley. Earlier this summer, local vintage bike enthusiast Peter Glenn started a vintage bike ride in the Valley. The final vintage ride for this Sunday rolls from 19600 Plummer St in Northridge at 9am, with a 20 mile loop, and free coffee and pastries afterwards. Peter describes it as a rolling bike show, with a mixture of beautifully restored American and European bikes from the 70’s and 80’s. Everyone is welcome, even if you don’t own a vintage bike. And unlike Eroica, there’s no anti-Lycra brigade. Finish the Ride and Safe Streets for Everyone will hold a ride to support hit-and-run victim Keith Jackson, who remains in a coma after he was struck from behind on La Tuna Canyon last weekend. Meanwhile, CiclaValley writes about the search for his killer. And a crowdfunding campaign has raised over $1,100 in the first 24 hours to help pay Jackson’s medical bills. Bike SGV is holding a Cycling Santas Holiday Lights Ride on Saturday. The final SoCal Cross races of the year take place Saturday and Sunday in Moreno Valley. Bike Walk Glendale and the LACBC are hosting a Holiday Lights Ride on Sunday, with a stop in Gauchos Village for a hot cocoa treat. SC Velo and Incycle Bike Stores are holding a Toy Ride in San Dimas on Sunday. One of the nation’s most challenging hill climb competitions rolls Sunday with the 12th edition of Feel My Legs, I’m a Racer. 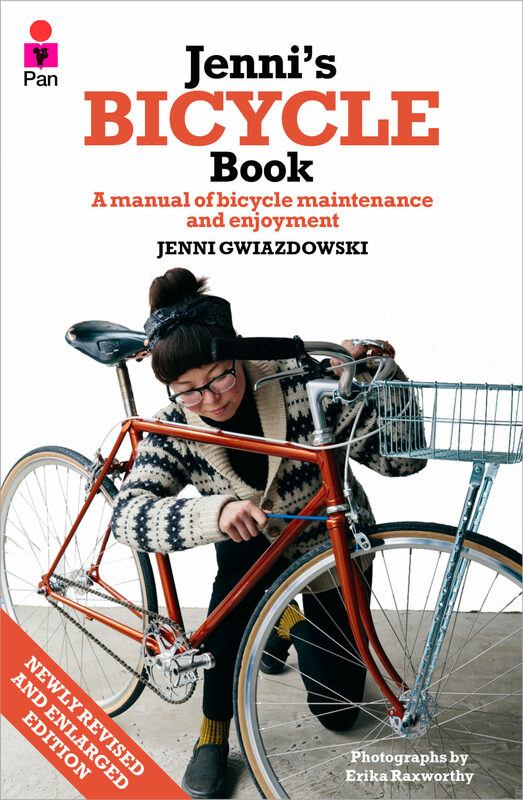 The Bikerowave will host a talk on getting more women bicycling with London Bike Kitchen founder Jenni Gwiazdowski next Friday; she’ll sign copies of her new book afterwards. LA Chargers running back Melvin Gordon has teamed with the Rally Cycling Pro Continental team to build 150 bikes for SoCal kids. 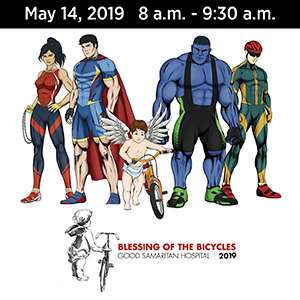 Burbank’s appropriately named Bike Angels have refurbished 150 bicycles to a nearly new condition for kids who might not otherwise be able to afford one. The Cameron Park Rotary Club will be distributing over 200 bicycles refurbished by a single inmate at Folsom State Prison. Fifty Fresno kids received new bicycles courtesy of a local property company. Singer, songwriter and Broadway star Sara Bareilles is teaming with bikemaker Priority Bicycles and Santa Rosa’s North Bay Bike Project to provide bicycles for kids affected by the recent North Bay fires. A Newport RI advocacy group has restored 30 bicycles for local kids. The widow of North Carolina’s Bicycle Man has kept up his holiday tradition, refurbishing 1,200 bikes for children whose families couldn’t afford one. 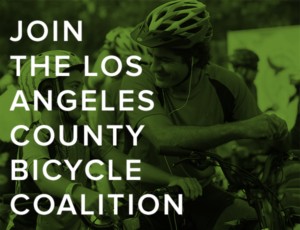 It’s the last day of the penultimate week of the 3rd Annual BikinginLA Holiday Fund Drive! It looks like the long-promised protected bike lanes on 7th Street may finally be moving forward, after the LA City Council voted to approve funding for the 7th Street Streetscape Improvements Project; they were promised as part of the approval process for the Wilshire Grand Center. The Monterey Park City Council will vote on city’s first protected bike lanes on Monterey Pass Road at their meeting this Wednesday. LA County is looking for input on a planned Complete Streets project on Rosemead Blvd in Pico Rivera and the Whittier Narrows Recreation Area. Long Beach has received a $150,000 state grant for bicycle and pedestrian safety education. Although the money would be much better spent educating drivers, since they’re the ones who pose a risk to others. The Orange County Register talks with a San Clemente cruiser ebike maker who started the company after getting bad customer service when he bought an ebike. 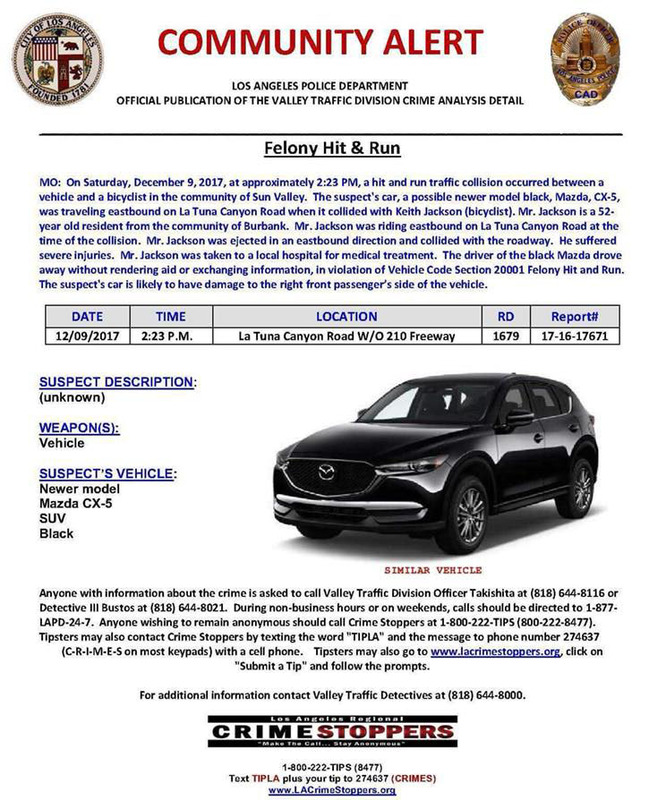 Riverside sheriff’s deputies are searching for whoever who beat a Menifee man to death, shortly after he was seen riding a bicycle towing a trailer to collect recycling. No surprise here. 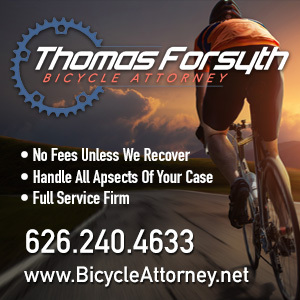 The CHP and Alameda County District Attorney decided not to file charges against a driver who swerved into oncoming traffic to avoid a bike rider signaling a left turn, hit his outstretched arm, and kept going. Thanks to F. Lehnerz for the tip. Bellingham, Washington police have busted nine people for bike theft using a GPS-equipped bait bike. The Colorado man who killed mountain bike legend Mike Rust has been sentenced to two life sentences without the possibility of parole, as well as concurrent sentences of 12 years for burglary, 18 months for tampering with evidence and 12 months each for theft and abuse of a corpse. Rust had disappeared in 2009 after setting out to track a burglar; his body was discovered early this year. A Michigan driver got three to 15 years for fleeing the scene after killing a bike rider. Another example of keeping dangerous drivers on the road until they kill someone; she had five crashes in the previous eight years, as well as citations for careless driving and hit-and-run. An allegedly drunk driver killed a bike rider while cutting donuts with his car. Yet another case of keeping dangerous drivers on the road until it’s too late; it was his third drunk driving arrest, yet somehow, he was still allowed behind the wheel. The New York Times looks at a bike rider’s confrontation with a state senator who blocked a bike lane, then allegedly pretended to be a cop when the rider approached him. More proof that bikes are good for business, as a new study using data from MasterCard shows higher receipts at New York restaurants near bikeshare locations. A Louisiana bike rider says before you call an angry cyclist a nuisance, consider what made them so angry in the first place. And build better infrastructure, already. Your 2018 Specialized Allez may be being recalled because of a bad fork. Bike thefts are continuing to spike in Calgary, as riders are feeling ignored by the police. Good idea. 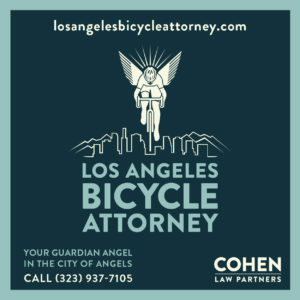 A proposed bill in Ontario, Canada would require anyone who killed a bicyclist or pedestrian to undergo renewed driver training, perform community service and appear in court to hear victim impact statements. Here’s a surprise. A Toronto bike advocacy group has disbanded after nearly 25 years, saying conditions had improved enough in the city that they were no longer needed. A British city has received the equivalent of $7,600 from a Chinese city to teach lower-income residents how to fix their bikes. A Dutch consortium has developed an ebike designed to improve stability for elderly riders. A study from the Netherlands shows GPS equipped decoy bikes cut bike theft up to 50% in areas where’s they’ve been used. Maybe that will be enough to finally convince the LAPD to give them a try. Germany’s national bike industry trade association warns about the dangers of unsafe dockless bikeshare bikes. Chris Froome continues to insist he’s innocent of doping accusations, as Germany’s Tony Martin decries the double standard, questioning why Froome wasn’t immediately suspended. Belgium authorities aren’t pleased Lance has been invited to attend next year’s Tour of Flanders as a special guest. Italian cyclist Nicola Ruffoni will be 30 years old before he can compete again after getting a four-year ban for doping. Dutch team LottoNL-Jumbo has sent three riders home for possessing a legal sleep aid that had not been approved by the team. Your next bike could be powered by hydrogen. Forget three feet; how about a 20-foot passing distance and a 6 mph speed limit? Thanks to Erik Griswold for the link. And if you’re going to unveil the new national team, it might help if you actually named them. I get the Calgary story instead of the hydrogen power on the link.